Buying a campsite can be an exciting yet daunting prospect so here we give you our guide on how to buy a campsite, with tips and advice from two campsite owners who have already been through it. Louise Smith runs Deepdale Backpackers and Camping in North Norfolk. After a career in hospitality abroad, she wanted to run her own business in the UK. Vikram Jashapara now runs a campsite in Cornwall, he was looking for a way to escape the London smog. Louise told us "coming home from [working] overseas, I always wanted to find an opportunity, something that interested me and that I could finance”. Louise didn’t want to travel anymore, so she used her existing hospitality skills and become her own boss instead. Consider what it is that interests you about running a campsite; do you want to live and work in the same location? Do you want to be outdoors? Do you want to escape city life and be near beautiful scenery? Do you enjoy working with people? Do you want to run your own business and be in charge of your own time? Owning a campsite may require you to be on call 24-hours a day, greeting and assisting guests and keeping the grounds and facilities in good order. The larger your campsite the more work there will be to do, but the more income you could generate. At first, Louise looked at a few different options but she wanted something outdoors that could still make money all year round; “campsites are good for the summer months but many close in the winter”. Recognizing the importance of a consistent revenue stream, Louise eventually chose a campsite with hostel accommodation on site. This gave her the opportunity to diversify her offering and have a “year-round business that could be very successful”. However, running a hostel alongside a campsite creates additional work - among other tasks, you will also need to change the bed linen daily, and perhaps provide catering. Really think through the amount of work that running a campsite will require and the type of work you will need to do on a daily basis. Vikram was looking to escape the city life in London and was looking for a new home with lots of open green land. When Vikram found his property, it was a case of love at first sight. He told us “with all the land, I just thought, that's it - I have it”. It wasn’t till later, after moving to the house, that he came up with the idea of running a camping business. Vikram’s prime motivation was finding a new way of life and the location and the property, were, therefore his first consideration. If you too care more about building a new life, than just building a business, then your criteria will be slightly different. You will be looking for a business with a great property included, and nearby facilities that suit the lifestyle you want. Do be wary of getting carried away by a dream property – it should still have business potential. In contrast, Louise decided to buy an existing business rather than start a brand-new endeavour. She explained; “with an established business a lot of the things at the beginning phase are already done. For example, the website's already up, there's already an advertising programme - you don't have to start it from scratch". Another advantage of buying an existing business is that they should have all the key legal requirements in place already. Before even considering buying a campsite business, or starting one, you should be aware of all permissions required. You may need planning permission and will almost certainly need a site license. Once you are sure that running a campsite is right for you, and you have found an existing business, property, or land, that suits your needs you should re-assess your choice for any potential hurdles. Is it really as perfect as it seems? Make sure you do your due diligence. What exactly are you purchasing? Do you know the land boundaries? Will you own all the properties on that land? Is there a swimming pool or lake? Is there adequate access (including emergency access) – with legal permissions attached? Is it a lease or freehold purchase? Do you have any existing tenants? Is there adequate plumbing and power supplies? Is there useful equipment included in the sale – laundry facilities, a lawn-mower? Check what fittings and furnishings come with the sale. What reputation does the business and the area already have? Is this a popular area for tourists and visitors? Are there attractions nearby? Are there seasonal festivals or activities nearby? If it’s an existing business what kind of reviews has it been getting? How many guests do they have per year? 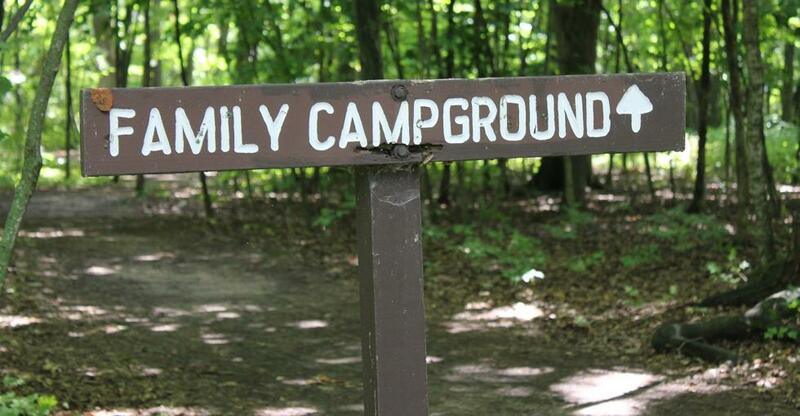 When is the campsite’s busy season? Are there walking paths nearby? Is there another camping business nearby? What is it offering and how are you different – how are you better? Could the facilities be improved and updated? Could you add new facilities – a games room, a pool, additional bathrooms? Could the land do with some love and care? Could you add some glamping options? Do the access roads need re-surfacing? Are there any potential surprises? Sewage and drainage could be an unforeseen problem. Is there good drainage on the land, is it prone to flooding? Is there a modern and effective sewage system on site? Are the pipes prone to breaking? Is there any noise pollution? Are you next to a farmer’s sewage pit? Are mosquitos a problem? Consider all of the possible unknowns which may adversely affect your business. Do not be afraid to ask the existing business or property owner questions. Also, do your own thorough research. It is your responsibility to be as knowledgeable as possible about the business you may be buying. Once you are 100% sure that you have chosen the right type of business or property for your camping business, and you have analysed the potential downsides and hidden risks, it’s time to make an offer. To make an offer you will need to decide on the price you will offer, and have a reserve maximum offer. It is often advisable to seek professional help in determining a fair and realistic evaluation of a business before you make an offer. Once you make an official offer you will then need to wait to see if the seller will accept the price, any terms given and the proposed structure of the sale. Once the seller has agreed to the sale, a lawyer or solicitor can help you to protect your rights and ensure that any contracts and agreements are legally binding. An accountant could also verify the existing books before you proceed. Once the terms of sale have all been formally agreed you and your legal team can create your close of sale paperwork and both parties can sign the deal. At this point, the business is finally yours and you can begin to build your new business. Undoubtedly, there is a lot to think about when buying a campsite business but Vikram believes that running a campsite is fairly simple. He told us: “there are no setup costs, all you need to do is just be a little bit savvy and have some customer service skills”. He goes on to explain that if you promote the campsite right half of the work is done: “get the right marketing in place, and then people will come to you. If [customers] like you, they'll post good reviews, and if you get good reviews, more people will come”. Despite being new to the camping business Vikram welcomed over 200 guests in his first 6 weeks of running. Louise’s campsite is now an award-winning independent backpackers hostel and campsite and like Vikram, Louise has successfully swapped her old life for running a rewarding business.